A natural lens sits inside the front section of your eye, and as you age this lens may start to turn cloudy. This condition, called a cataract, will lead to progressively worsening vision. In the early stages, changes in your prescription for glasses will improve your eyesight, but as the cataract progresses, prescription changes will not improve your vision. Some people turn to herbal remedies to treat the condition, but herbs will not remove cataracts or restore lost vision. Cataracts begin when the proteins in the lens of your eye break down. This process typically results from oxidation, a process that damages cell makeup. Once the proteins break down, herbs or other supplements cannot remove or dissolve the damaged proteins. In addition to the inability for herbal remedies to destroy cataract formation, medications cannot make changes to the natural lens either. Surgical removal is the only known treatment for cataracts. This surgery is one of the most common types of surgery performed in the United States, reports the National Eye Institute. 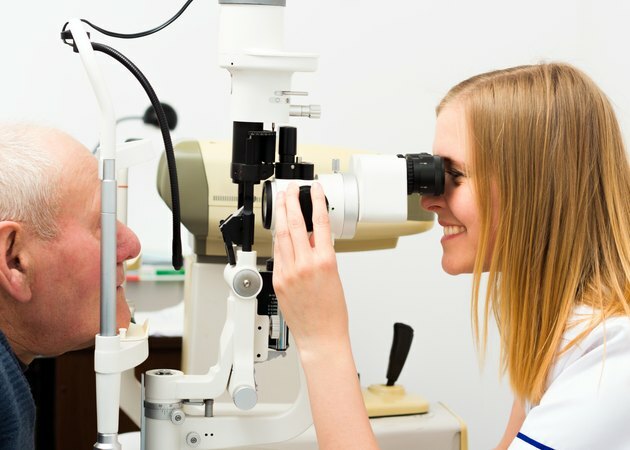 You do not need surgery unless cataracts affect your vision to the point that you can no longer read, drive or perform other activities of daily living. Once cataracts cause this extent of damage, your doctor may recommend surgery. She will review the potential risks associated with the procedure and inform you of any instructions before and after the procedure. If you decline surgery, your vision will worsen, and this could ultimately lead to blindness. Even though herbs cannot remove or dissolve cataracts, some herbs contain antioxidants or other components that may help slow down the oxidation process. These herbs include bilberry and ginkgo biloba. If you think you may want to use herbs to help prevent cataracts, you should talk with your doctor. He will weigh your medical history along with the medications you currently use to decide if the supplement is appropriate for you. If she feels the herb will not interfere with any other conditions or treatments, she will tell you how to use the herbal supplement. Do not begin any herbal regimen without first consulting your doctor. Some herbs may intensify the effects of medications, such as increasing the blood-thinning action of drugs such as coumadin. Your doctor can help you determine if you take any medications that may cause concerning side effects when used with herbal supplements. All About Vision: Can a Healthy Diet Prevent Cataracts?